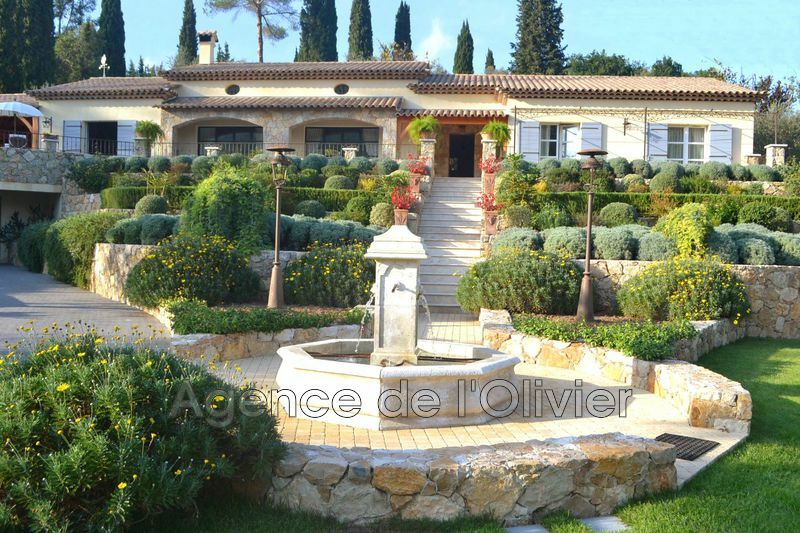 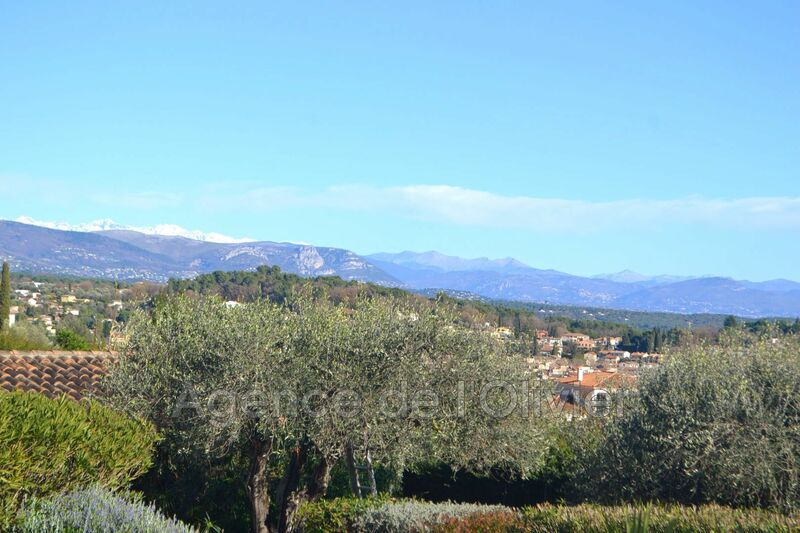 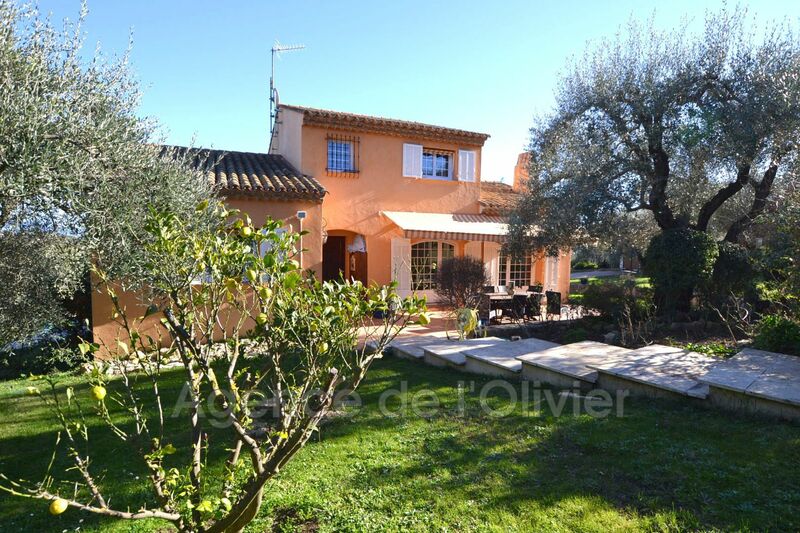 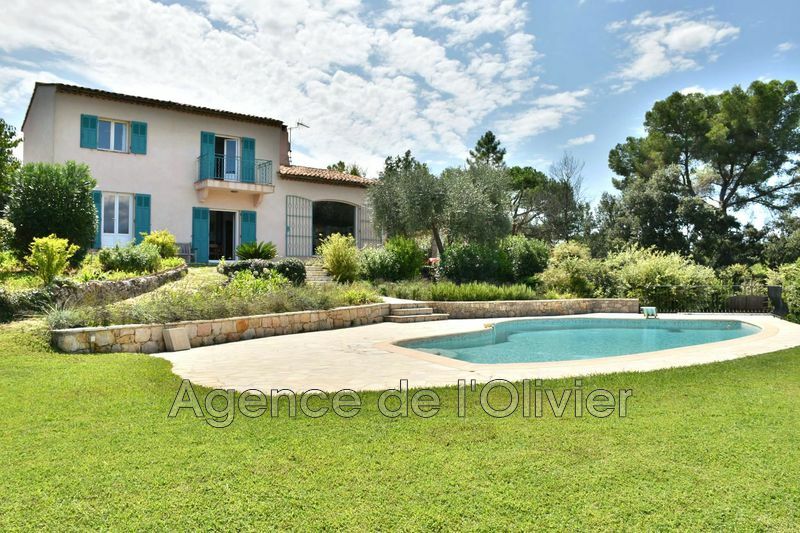 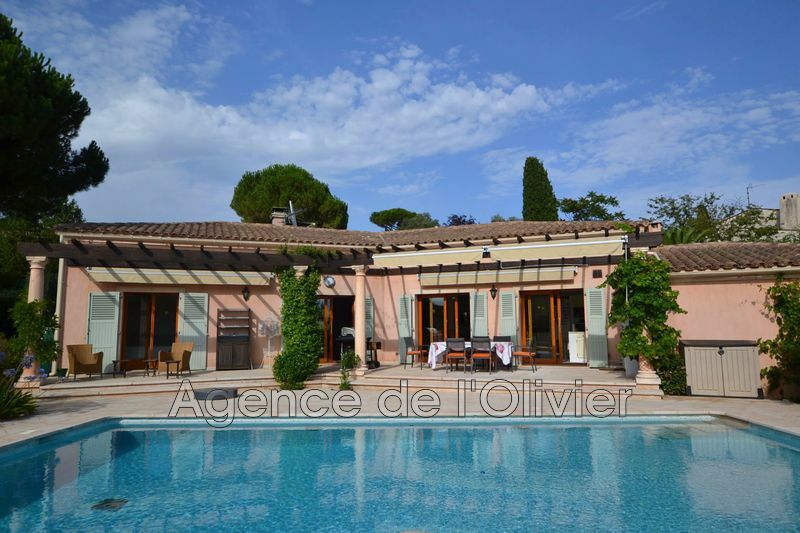 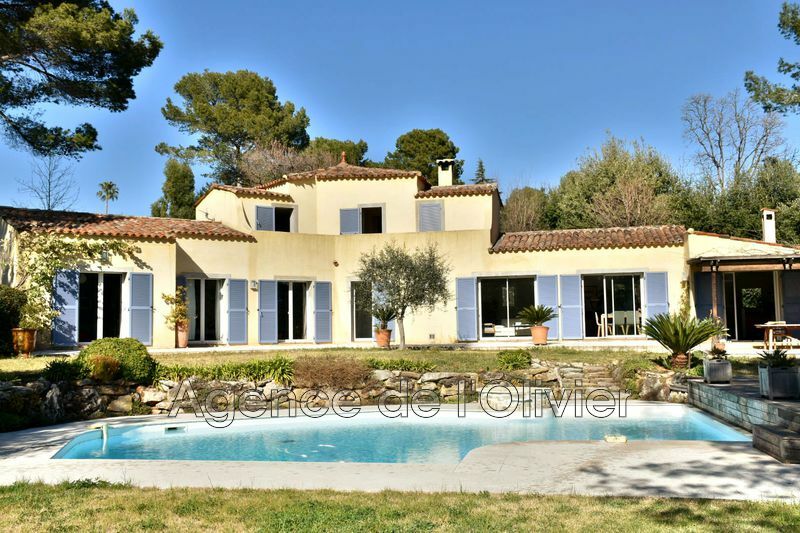 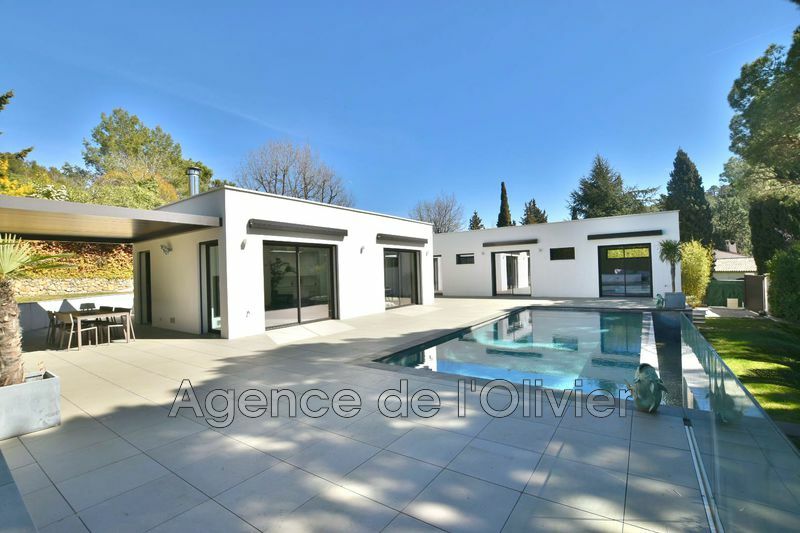 Valbonne - Villa for sale - Situated in Valbonne in a very quiet area,in a secure environment, on a hill with a panoramic view on the mountains, lovely sunny villa with 6 rooms. 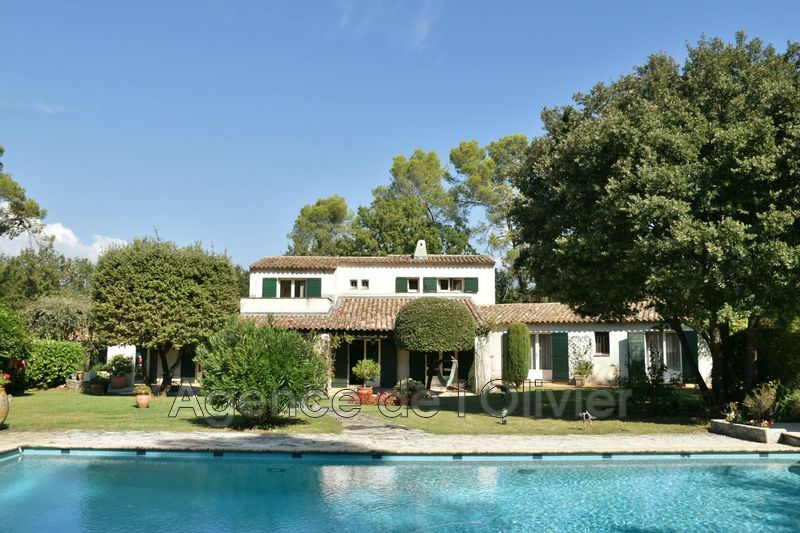 The villa includes on its garden floor: entrance with guest toilet, a beautiful living room with fireplace and opening into terrace and garden, fully equipped kitchen, 2 bedrooms with cupboards sharing a bathroom. 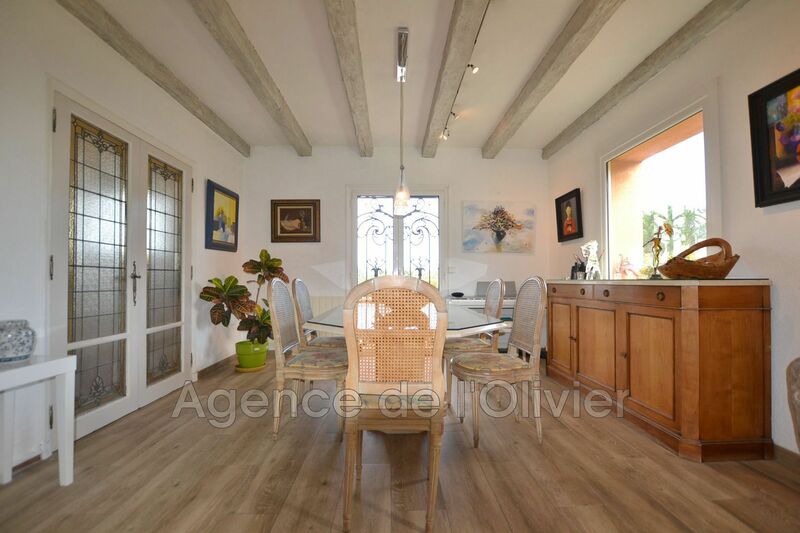 Upstairs, a hallway with cupboards, 2 bedrooms, bathroom, attic access. 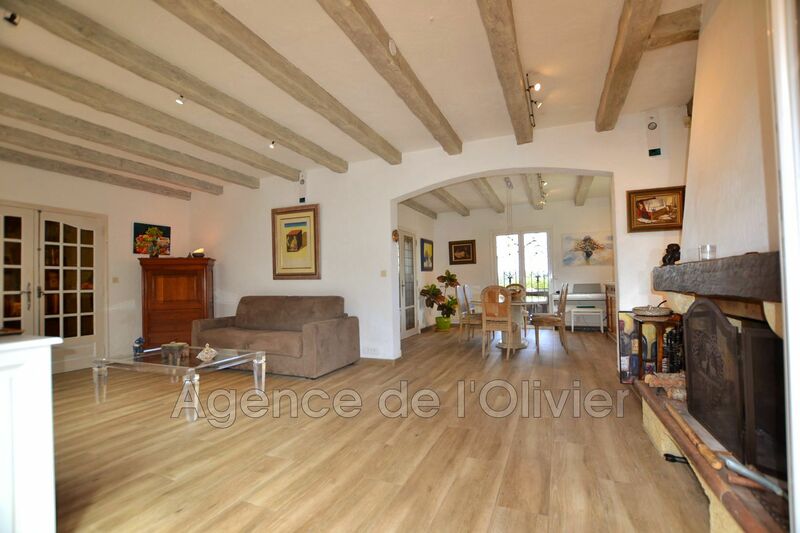 On basement / ground floor, large garage with utility room and store room, cellar, laundry room. 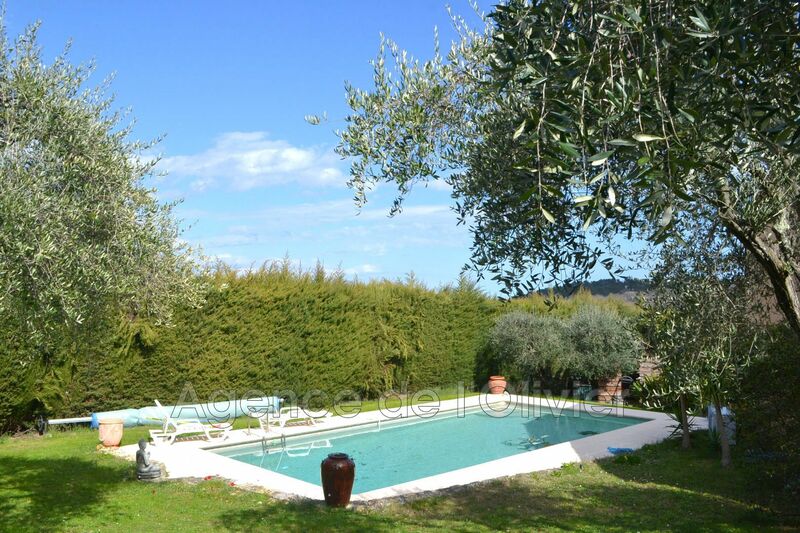 The villa is built in the heart of a garden of 1970 sqm planted with 20 magnificent bicentenary olive trees and Mediterranean plants with heated pool, swimming against the current.